Relatively few tourists visit Sa Pobla, a small agricultural town in the north of Mallorca – but many (particularly British visitors) will have eaten one of the crops grown in the flat fertile fields surrounding the town: potatoes. A large percentage of the new potatoes harvested from this area ends up on dinner plates outside Mallorca; they’re a valuable export crop. I was once told by a Manacor market stallholder that local housewives don’t like the additional work of cleaning small potatoes, preferring to use larger ones, so it’s not that easy to find Sa Pobla’s tasty new potatoes for sale. Sa Pobla isn’t a town we’d go to simply for a day out, but we do visit a couple of times a year to see our gestor – who deals with all the boring (for me!) bits of producing our Spanish tax returns. After our visit on Friday, we went into the main plaza for a coffee, as usual. 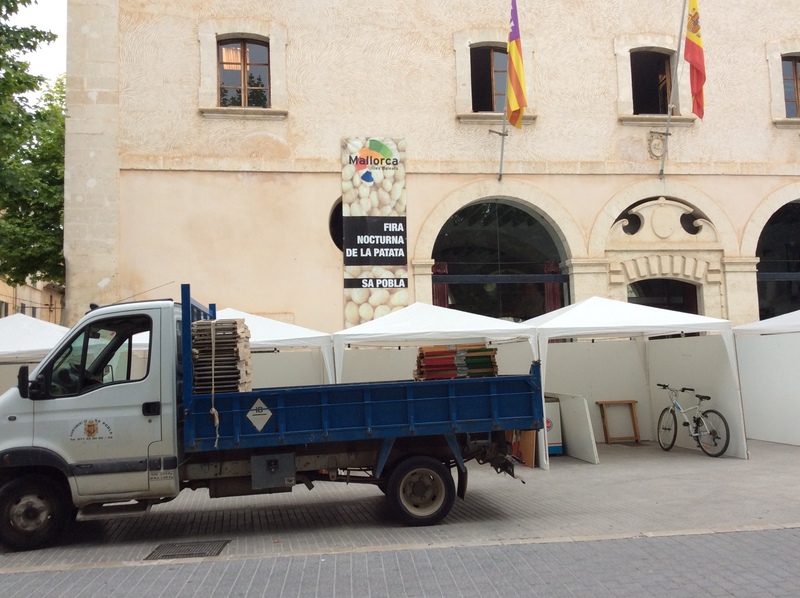 And it was a hive of activity: preparations were in full swing for the annual Fira Nocturna de la Patata – an evening event (over two nights) that’s a gastronomic celebration of the versatility of the potato. Barrels of beer were being unloaded and set up at a temporary bar in the middle of the plaza and participating restaurants and cafes were setting up their stalls. On Friday and Saturday evenings, more than 30 establishments offered taster plates of their own dishes, with prices ranging from one to three euros each. Each dish – including the sweet ones – featured potatoes. There was wine from a couple of local bodegas and artisan beer produced on Mallorca. Live music and children’s entertainment were also part of the event – as they are at most firas on the island. Potatoes even formed part of the décor of the stalls. 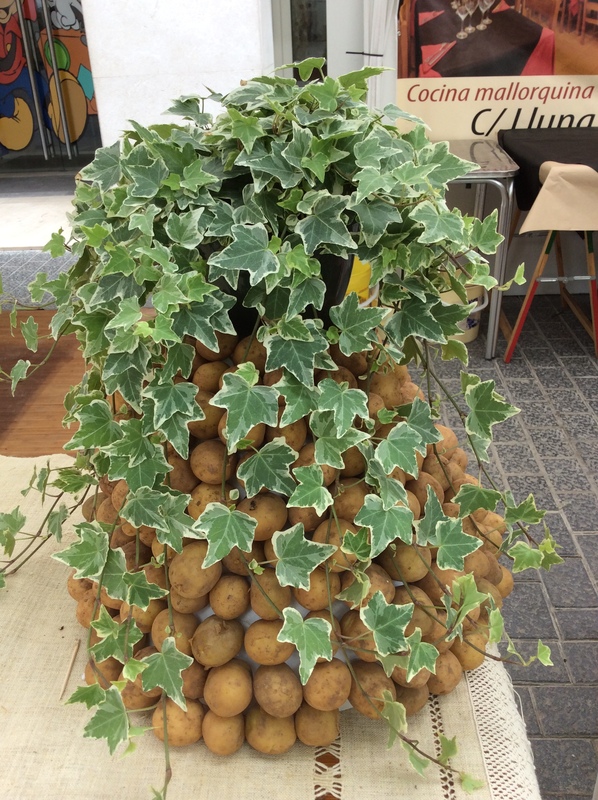 If you like potatoes, and find yourself on Mallorca in early June next year, check out the Fira Nocturna de la Patata. And next time you buy new potatoes at your local supermarket, you may find they’ve come from Sa Pobla – a town that benefits more from exports than visitors.